European countries have announced that they are opting out of growing GM crops based on new rules by the European Union. Italy and Austria are the latest countries to follow France, Germany, Scotland, Northern Island, Latvia and Greece in demanding an opt out and complete ban on the cultivation of genetically modified crops. “Austria has made use of the newly created EU opt-out rules for the authorization of genetically modified crops,” Austrian Health Minister Sabine Oberhauser stated on Wednesday. Austria’s geographical opt-out demand was delivered to the European Commission earlier this week. The Italian Minister of Agricultural, Food and Forestry Policies, Maurizio Martina, Environment Minister, Gian Luca Galletti and Minister of Health Beatrice Lorenzin are preparing 8 letters (one for each GM maize variety) that will be received by the EU before October 3. 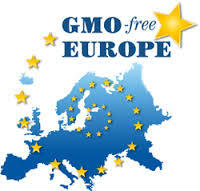 Italy is requesting a complete out of from growing genetically modified crops. German Agriculture Minister, Christian Schmidt, has informed German states in August with his intention to use a new European law, to ban the use of genetically modified. Lithuanian Agriculture Minister, Virginija Baltraitienė, announced last week that the Baltic country has demanded an European Union opt-out regarding the growing of genetically modified (GM) crops. ← Bisphenol A disrupts endocrine system, impacting on metabolism of children and amount of exercise and voluntary physical activity later in life.